For the superstitious Romans to know what Fortune reserved to them before any important act of their life was a must. 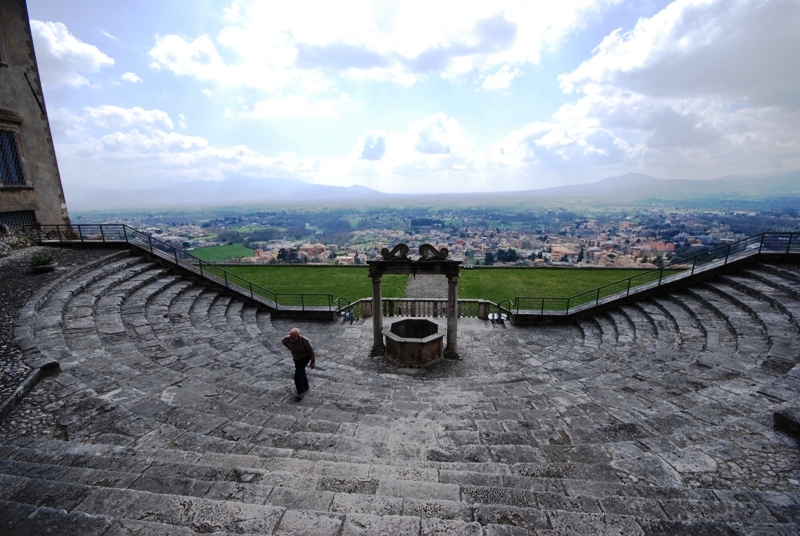 The Fortune revealing sanctuary of Palestrina was one of the most visited and is today one of the better preserved. 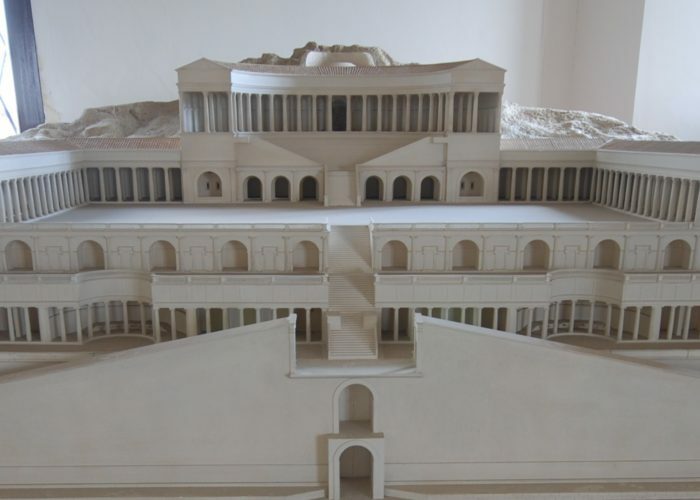 The Sanctuary of the Fortune, one of the most important architectural complexes of the Roman Republic, lays on six artificial terraces , located on a steep rocky slope. In the center a long columned ramp led to the Terrace of the Hemicycles where opened the deep well from which were extracted the oracular tablets . On the sixth terrace , in the centre of a theater cavea decorated by a portico and ended at the top by a temple, was the statue of the deity . 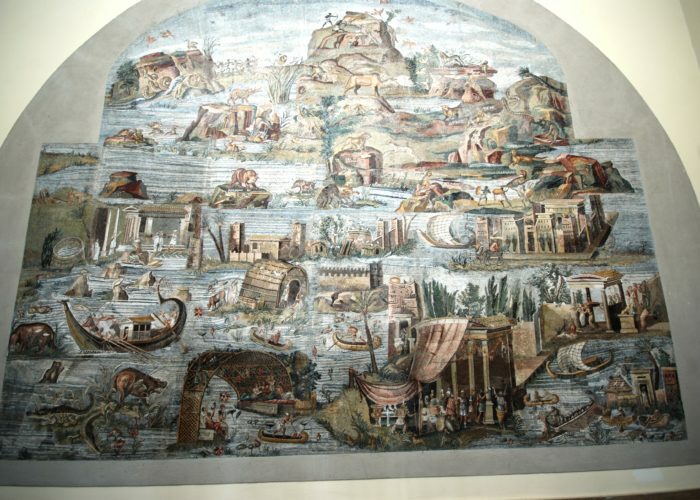 On its remains arose centuries later the Colonna Barberini palace , which today houses the Archaeological Museum, where are preserved the large mosaic of the Nile, and a scale model of the Sanctuary. 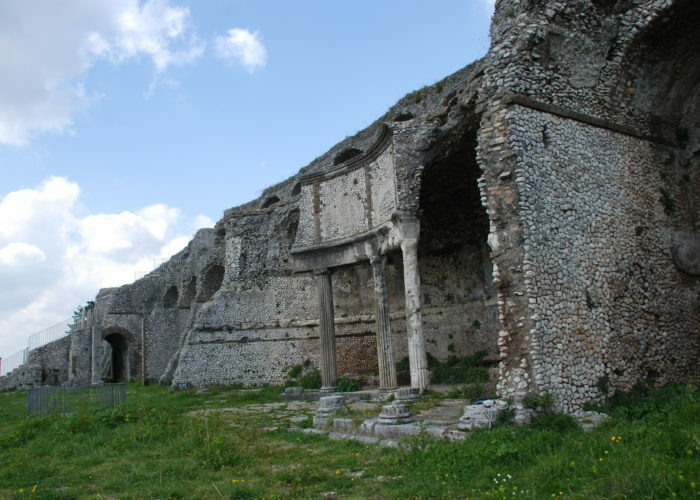 Under the central square of the modern town of Palestrina are still to be seen imposing remains of the ancient Forum, the public centre of the roman Praeneste. At the top of the mountain, where once was the acropolis of the ancient town and still surrounded by the massive city walls, is the characteristic village of Castel San Pietro, dominated by the medieval fortress of the Princes Colonna. It’s romantic alleys paved in cobbles and old fashioned stone houses where the set of the movie “La Ciociara” interpreted by a young Sophia Loren.